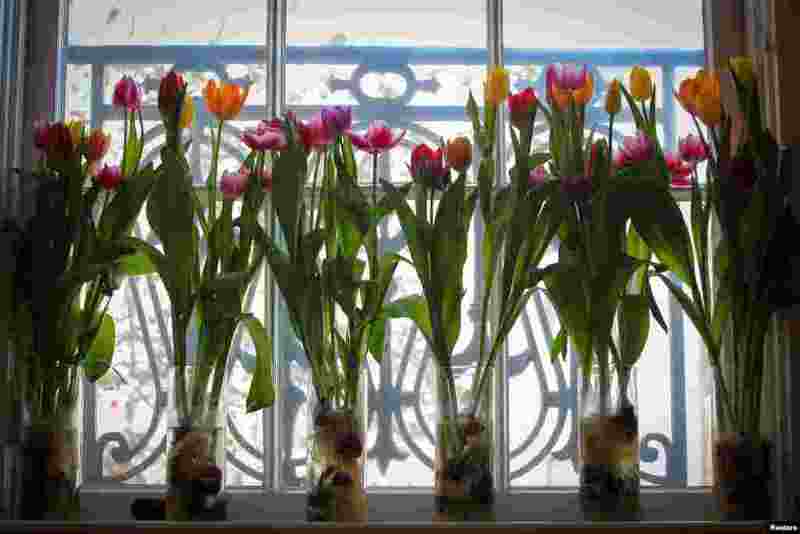 ١ Flowers are displayed at the Dutch Ambassador's residence during the Tulip Days celebration, an event celebrating the Dutch horticulture sector and its ties to the United States, in Washington, US. 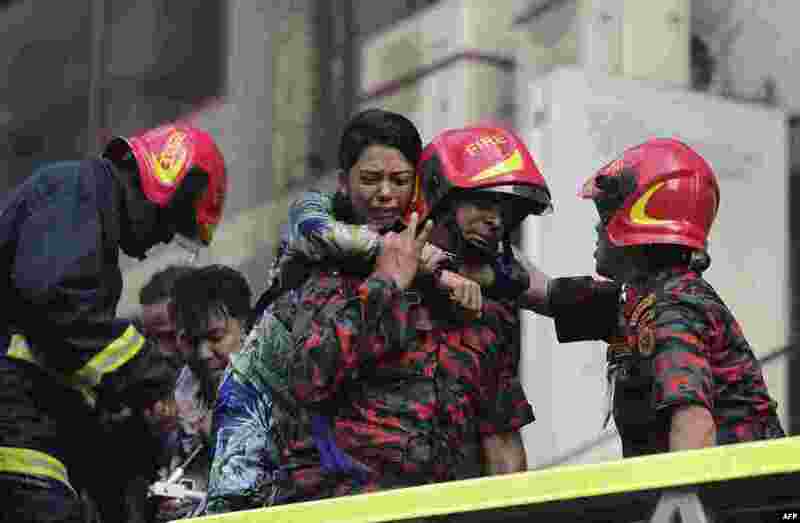 ٢ A Bangladeshi survivor reacts after being rescued by firefighters from a burning office building in Dhaka. 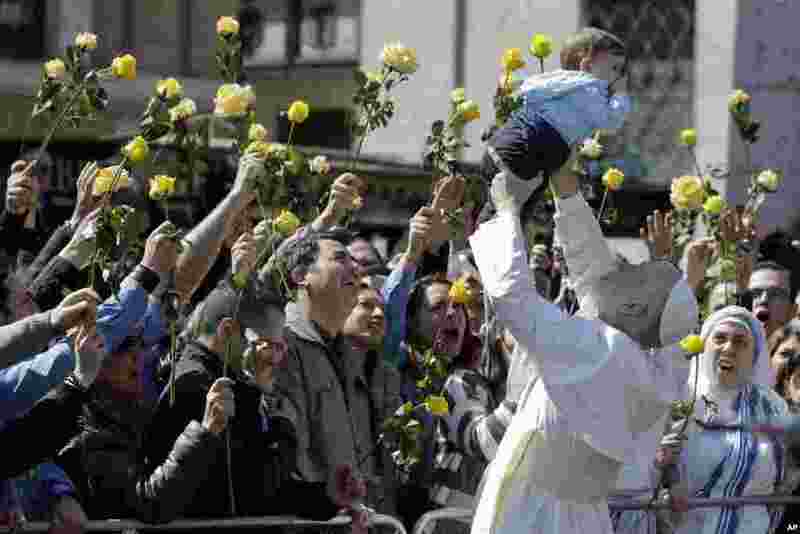 ٣ John Malkovich lifts a baby during the filming of 'The new Pope,' the sequel of Paolo Sorrentino's 'The young Pope,' in Rome, Italy, March 28, 2019. 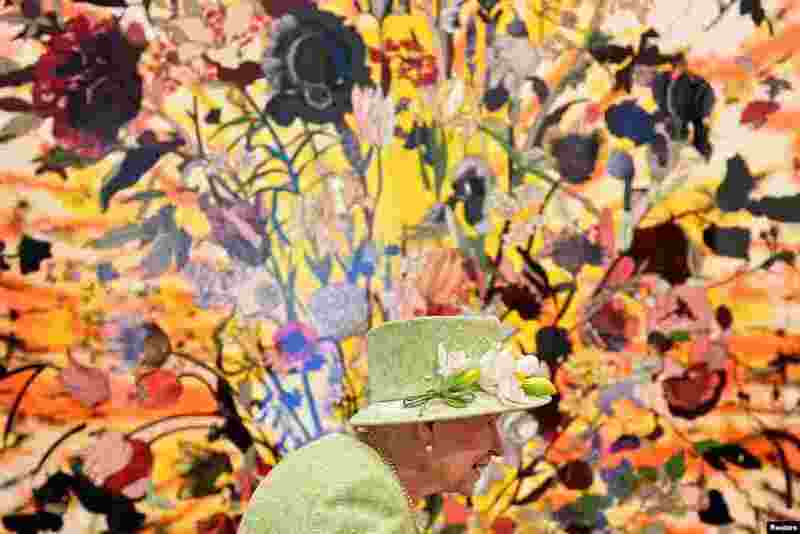 ٤ Britain's Queen Elizabeth visits Hauser & Wirth Somerset art gallery, in Bruton, Somerset.